I couldn’t pass this one up: a little jar of whole nutmeg seeds and a miniature grater. 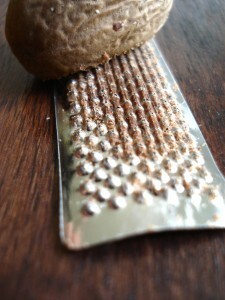 Freshly ground nutmeg, I’ve just discovered, is simply stronger and much more aromatic than the pre-ground spice. I found my little jar of noix de muscade in the spice section of the neighborhood grocery store and have been curious about it ever since. The nutmeg we traditionally use in cuisine (frequently used and highly regarded back in the Middle Ages by-the-way) is the ground seed of the (edible) fruit from the nutmeg tree. 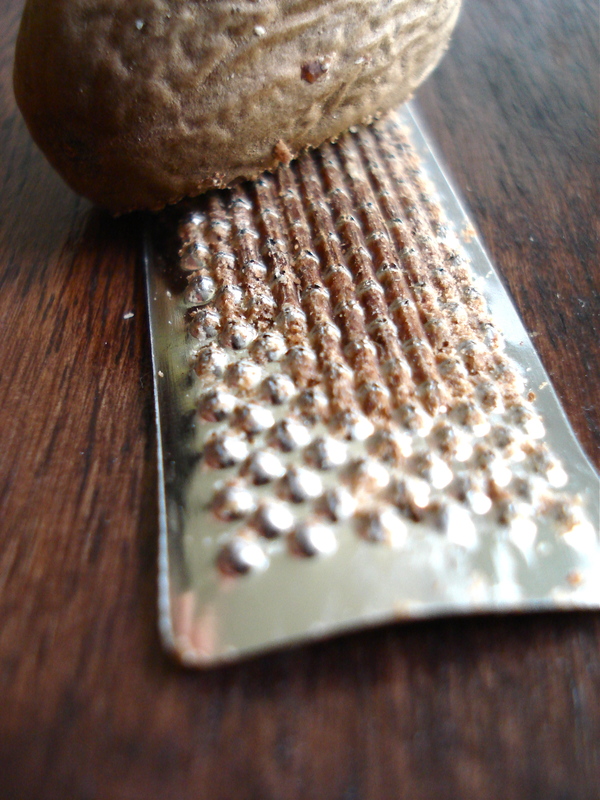 Another common spice, mace (macis, in French), comes from the same tree; it, in fact, is the dried red netting that covers the nutmeg seed. In addition to being fun to grate, nutmeg gives a slightly sweet, rather nutty (surprise) flavor to dishes- I’ve used it in quiches and desserts, for example. This entry was posted in Everyday Life in Paris and tagged nuts, spices. Bookmark the permalink.